Use these tips to winterize your sprinkler system. Winterizing your fire sprinkler system is a crucial service needed to reduce the chance of any issues associated with the damage of piping caused by potential freezing. In fact, without checking your fire sprinkler systems, cold weather can end up causing you major issues like freezing or worse- bursting! Here are some important things to keep in mind when it comes to winterizing your fire sprinkler systems. There is a lot that goes into winterizing your fire sprinkler systems. 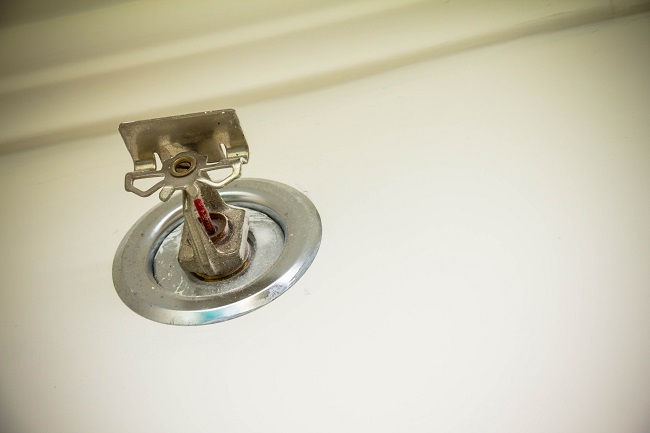 In fact, it is essential that every owner take the time to check the sprinkler systems to make sure that areas with wet pipe are properly heated or insulated, this will help ensure that all systems are working properly in the event a fire breaks out during the frigid winter months. Another important step to winterizing your fire sprinkler systems is to find out if your heat tracing system is intact and operating correctly. This will include things like the monitoring system as well as heat trace systems throughout. The easiest thing you can do is to visually inspect the integrity of any pipe insulation where provided as well as any wet pipe in attic areas to figure out if any required insulation is needed or if it’s already there. In fact, if the insulation is disturbed you will have to contact a professional to ensure that everything is working properly so that your home is safe and protected during the winter months. Ideally, every owner will want to check all the dry pipe and pre-action systems to essentially make sure that they are drained. This is very important. In fact, you’ll want to drain all low point drains, paying special attention to areas outside while also verifying and recording the location of all the drains. KEEP YOUR HOME SAFE WITH ANDERSON FIRE PROTECTION, INC.
Anderson Fire Protection, Inc. has the expertise and skill to help your home or commercial property for all your fire protection needs. We have been working in the Maryland, Northern Virginia, Southern Pennsylvania, and Washington, D.C. areas for over 25 years. We are known for our top-notch customer service and high-quality results. If you are ready for fantastic fire prevention and protection services, from fire sprinkler installation to fire alarm design and consulting, give us a call at (410) 796-4915 or visit us online. For more fire safety tips to help keep your property safe, follow us on Facebook, Twitter, LinkedIn, and Google+. This entry was posted on Friday, February 1st, 2019 at 3:37 pm. Both comments and pings are currently closed.